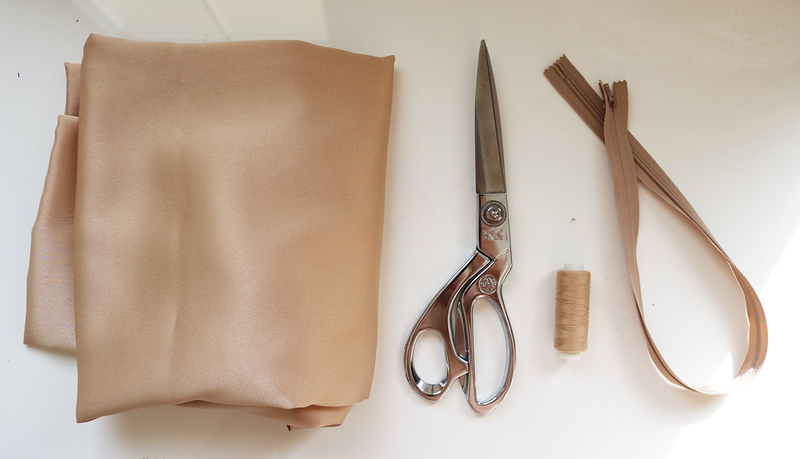 This is dedicated to everyone intrigued - but also intimidated - by the idea of sewing silk. At least for me, it was a material I avoided for years, mainly for a fear of expensive mistakes. 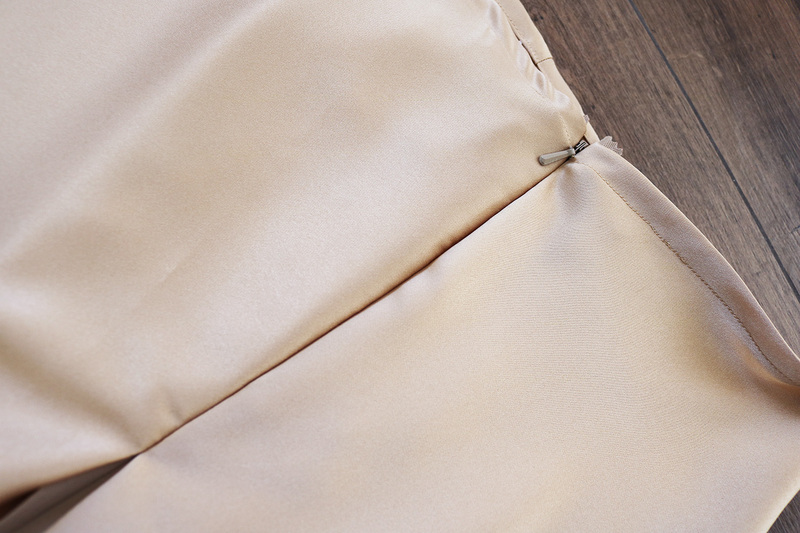 Allow me to introduce the perfect medium: silk satin. 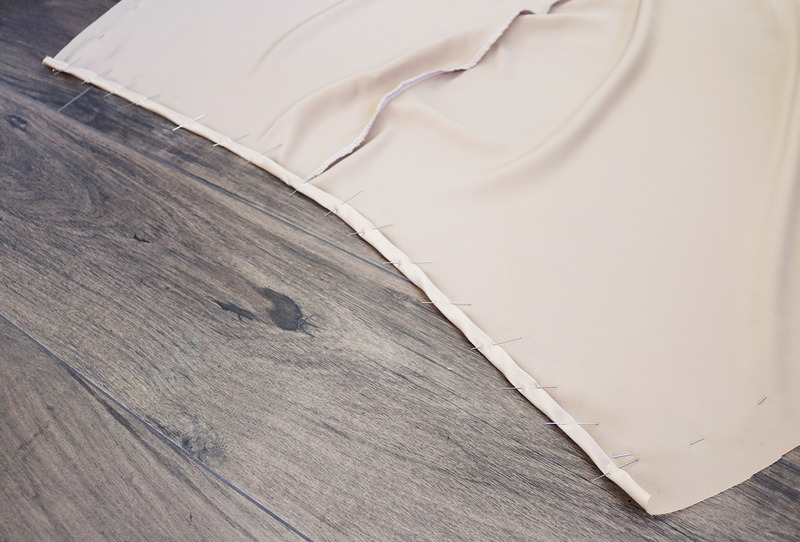 Same luxurious feel, less expensive, so perfect for practicing the ultimate draping technique: bias cut. That's what creates the beautiful, flowy look you see on slip dresses (and also the comfort the stretch that runs on the bias brings to a garment). I. First step is to figure out your bias line, which is 45 degrees from the factory-cut edge. I don't have one of those big sewing rulers, so I just use an A4 piece of paper. 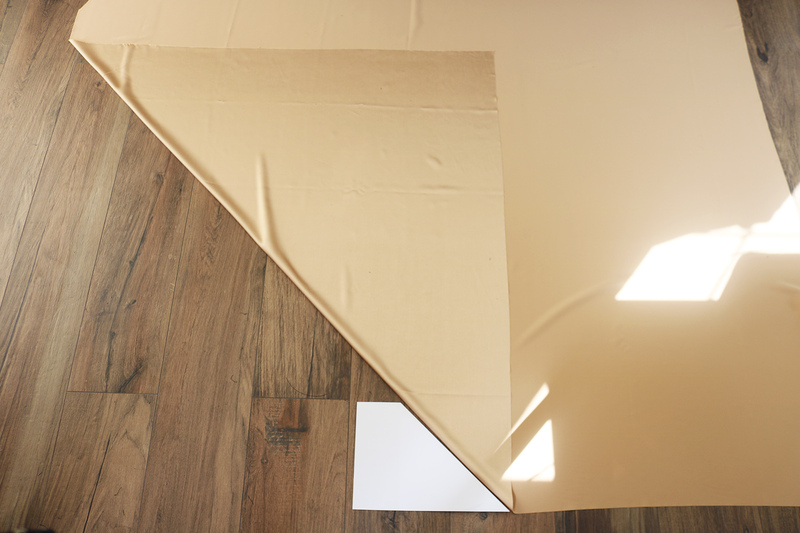 Take your paper and fold the 90 degree angle in half (kind of like you start folding a paper plane). 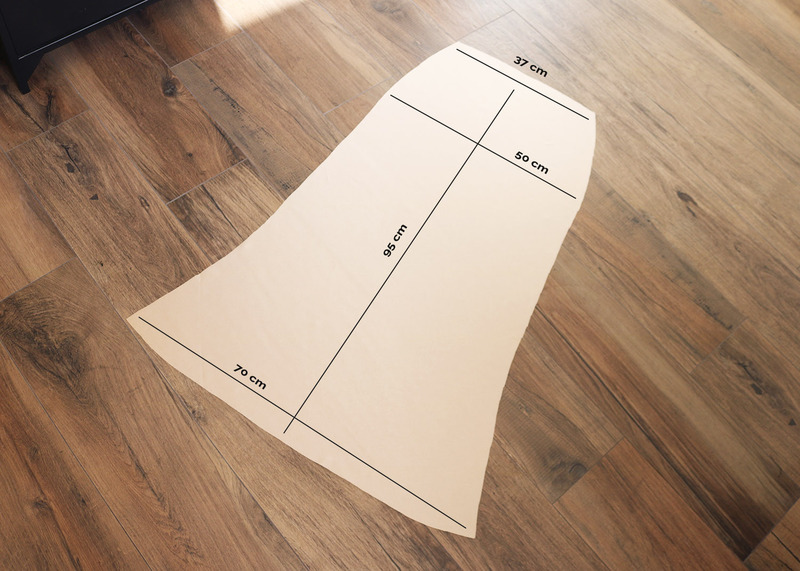 Voilà, you have a 45 degree ruler. Then you just align that with the edge of the fabric, and fold the fabric so it follows the 45 degree angle. That is your bias line. I like to mark my bias line with some pins (you could also trace a line with your fabric marker on the reverse side)..
Then you just place your pattern center line over the marked bias line, and trace. In my case, I had already tried to make this skirt once before out of a slightly darker tone, but was too stingy buying the fabric, and ended up with too little to get the length of the skirt I wanted. So I used the failed piece I had cut as my pattern). III. 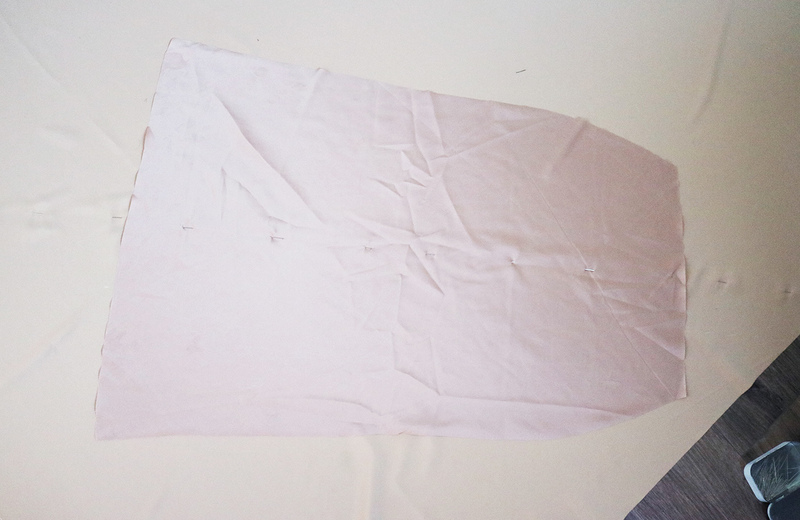 First I placed both pieces right sides facing, pinned and sewed one of the side seams. 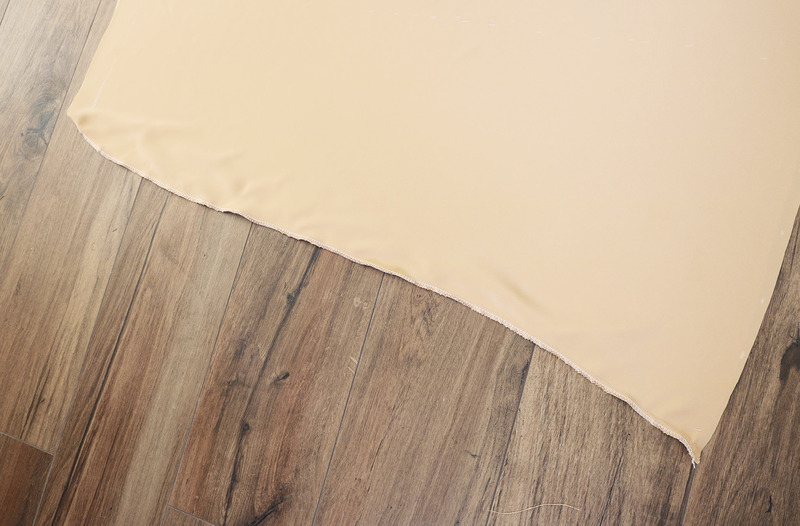 The key to sewing the sides of bias cut pieces: do not stretch the fabric as you sew. Just let the machine run over it and the fabric feed under your presser foot at its own pace. 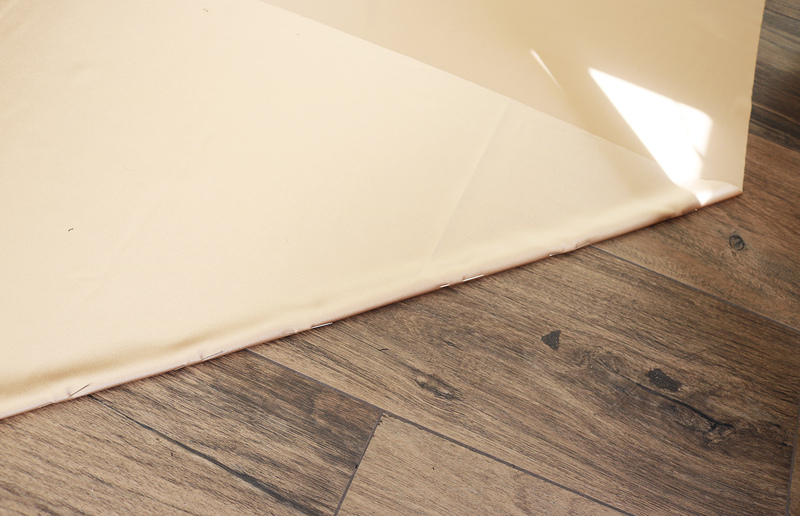 If you stretch as you go, you'll get a crumply seam with tension in it. Finished with my serger. IV. The waistline I finished with just a simple double-fold. V. Then added my invisible zipper. Before I pinned it, I wrapped the skirt around myself to check how tight I wanted it. Thanks to the stretch, I had to take the side in with the zipper a few cm. Zipper done! Just continued the stitch all the way down..
.. And finished the hem.